Sedona’s changing colors are a highlight of the autumn season. The red rocks give a backdrop to yellow leaves. Sunsets glow pink and magenta. Sedona is startlingly pretty this time of year. And, of course, I’ve set out a half dozen bright orange pumpkins in front of the cactus to greet customers. I love fall in Sedona. I’ve taken a lot of photos this year to share with friends and family. Here are some of my favorites. Visit Sedona Time of year for Arizona residents. Several Arizona newspapers mentioned Sedona on their travel pages this past week. 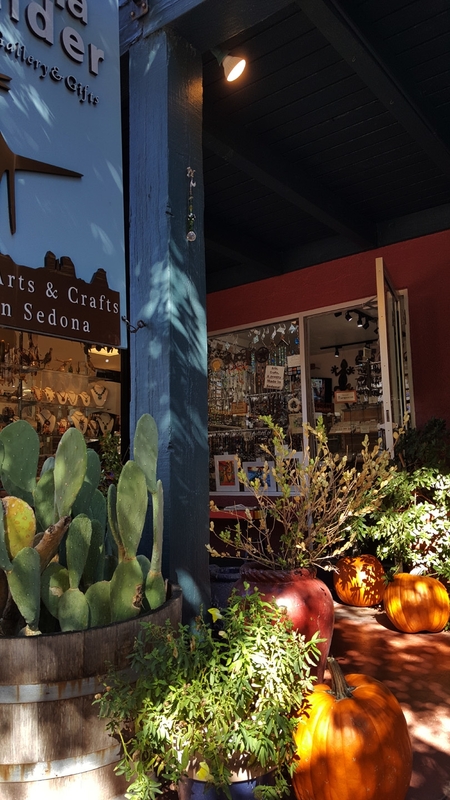 It's classic "Visit Sedona" time of year for Arizona residents. Many residents of the Phoenix area and southern Arizona enjoy making the road trip northward this time of year to see the leaf colors in Sedona, Oak Creek Canyon, Flagstaff and the White Mountains areas. Here are three of the articles.